Joe Queenan, the long time humor writer, wrote a column in the November 16 New York Times about the occasionally delicate dance between authors and the book reviewers who assess them. As he notes, “There is nothing inherently unethical or immoral about a needlessly effusive notice, nor any reason to suspect that the reviewer is being pathetically servile because he seeks the author’s hand in marriage or expects similar treatment when his own book, ‘Would That the Khedive Had Not Overslept’ comes out in paperback.” On the other hand, Queenan says that such reviews are unfair to the readers, who are oversold on a book’s merits, sometimes wildly so. I’ve written golf book reviews for just over ten years now. Maintaining a sense of fairness to the author and the book’s potential audience is always an interesting challenge. I read these books all the way through, and that’s more than what some reviewers do. The book authors can certainly tell the difference. Sometimes I’ve read others’ reviews of the same books, and have been startled at the similarity between the review and the publisher’s press release that came with the review copy. No matter how tortured a golf book’s prose, at the very least I appreciate the sheer level of effort required to write 35,000 or more words for a single volume. Reading the book in its entirety is one way to show that respect. The book may not be worth as much as the author believes, but it’s usually worth something. When I first starting writing these reviews, I decided to focus on golf books that I genuinely believed other readers would enjoy. How much they would enjoy them was a matter of degree, of course. For that purpose, I came up with the one-to-five golf flag rating system that appears with the reviews at the HoleByHole.com website. So far I’ve only given one book the full five flags—Mark Frost’s The Greatest Game Ever Played, a history of Francis Ouimet’s remarkable victory in the 1913 U.S. Open. A few golf books have earned the single flag rating, in my opinion, but not mentioning them again here is probably the kindest thing to do. On at least one occasion, I finished reading a golf book, and then had a long internal debate about writing the review. In all fairness, I just couldn’t find anything to recommend it to other readers, and eventually decided not to write the review at all. The author was astute enough to not write me and ask when the review was going to appear. On the other hand, for most of these golf book authors, a book review, any book review, is a welcome bit of exposure. Thousands of books are published each year, and publishers focus their increasingly tiny marketing budgets on those they hope will be blockbusters. Very few golf books gain that kind of pre-publication support. 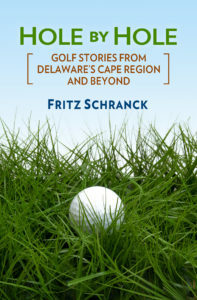 I’ve received some very kind letters from golf book authors expressing deep appreciation for these reviews, even those where my praise is merely mild. Pete Oakley finished a full season on the European PGA Senior Tour a few weeks ago. He tied for 30th place in the final event, the OKI Castellón Open España – Senior Tour Championship, at the Club de Campo del Mediterráneo, in Castellón, Spain. The Rookery’s Director of Golf earned a tidy 3,235 Euros for his three-over par performance. He finished the season in 29th place on the Senior Order of Merit, easily retaining his playing privileges for the 2009 tour.